W. W. Norton & Company, 9780393331264, 175pp. Will Eisner is one of the twentieth century's great American artists, a man who pioneered the field of comic arts. Here, in his classic Comics and Sequential Art, he refines the art of graphic storytelling into clear, concise principles that every cartoonist, comic artist, writer, and filmmaker meeds to know. 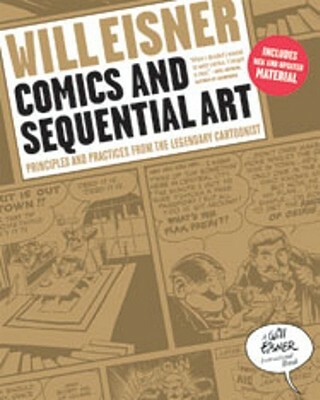 Adapted from Eisner's landmark course at New York's School of Visual Arts, Comics and Sequential Art is an essential text filled with invaluable theories and easy-to-use techniques. Eisner reveals here the fundamentals of graphic storytelling. He addresses dialogue, anatomy, framing, and many other important aspects of the art form. Fully updated and revised to reflect current practices and technology, including a section on digital media, this introduction to the art of comics is as valuable a guide as it was when first published.